​with a water filtration system. Easy, intuitive bicycle pump ​design that even kids can use. It is lighter than your backpack. Carry it on the roughest terrains. You only need a water source. ​and we are constantly working to reach these communities. We would like to meet your needs! Share with us the scope of your project, organisation and/or areas of interest. What are the needs of the community you serve? We provide consultations for individuals and groups who hope to contribute to water infrastructure in the communities. 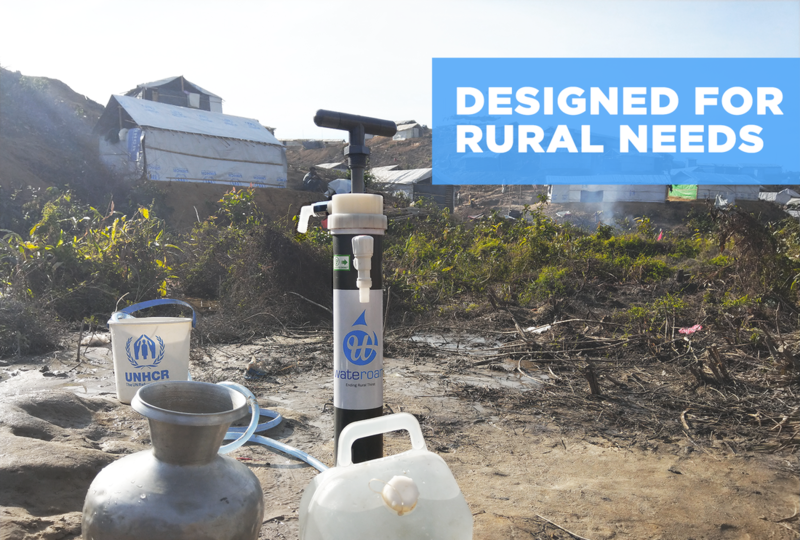 Donate or buy a system for a community that has no access to clean water. Have a water project? Consult us on water and sanitation solutions. Learn more in Impact Centre. Looking for a CSR project? Create a lasting impact with your company through our water projects. © 2019 Wateroam Pte Ltd.